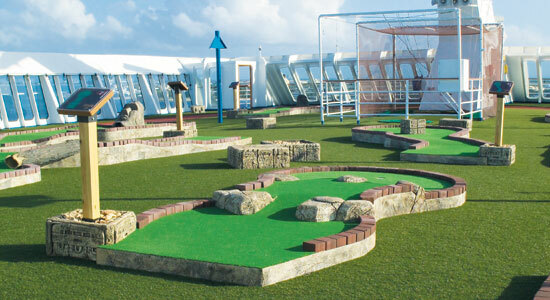 Enjoy panoramic views while you walk along the Sun Deck's Jogging Track or try you luck as sinking a hole in one on the mini-golf course. 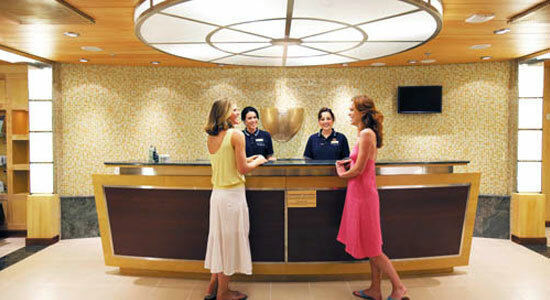 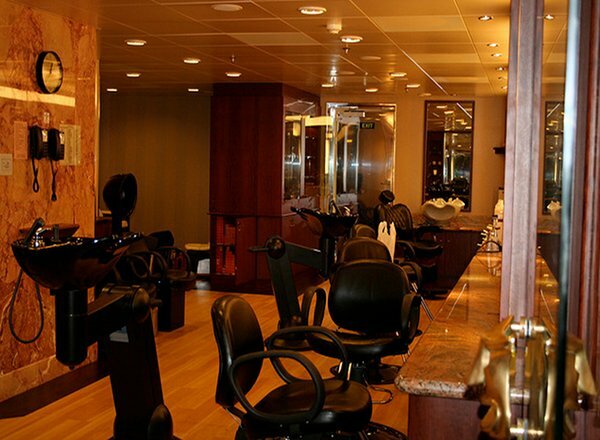 Relax in Spa Carnival featuring the most extensive spa facility at sea and pamper yourself in the Beauty Salon. 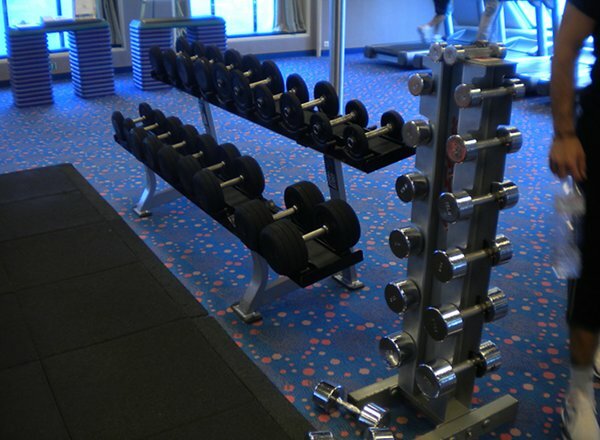 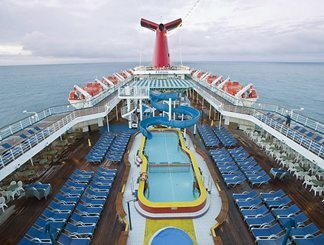 The Gymnasium and Fitness Studio are also on this Deck, as well as Camp Carnival. 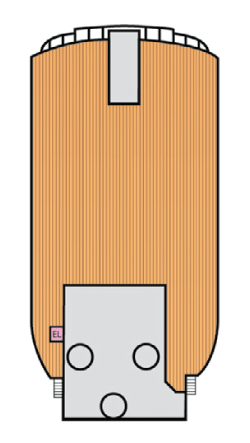 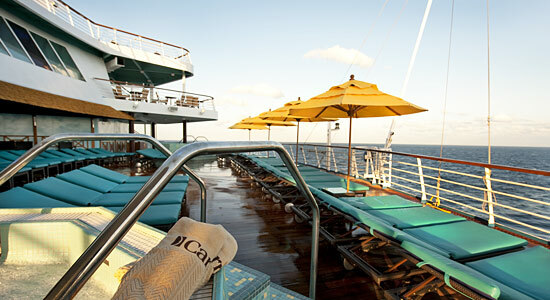 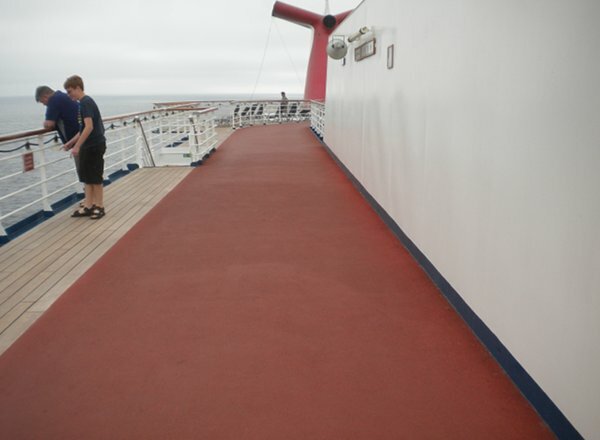 The Verandah Deck features staterooms in categories JS, OB, and 4I, as well as a pool, whirlpool and children's pool. 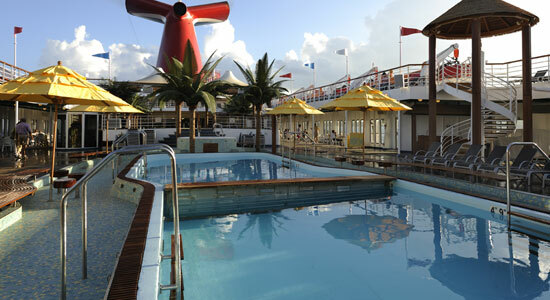 Sit back and relax on the patio after taking a nice dip in the Elation's Pool. 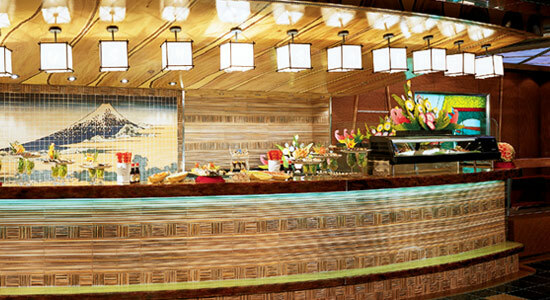 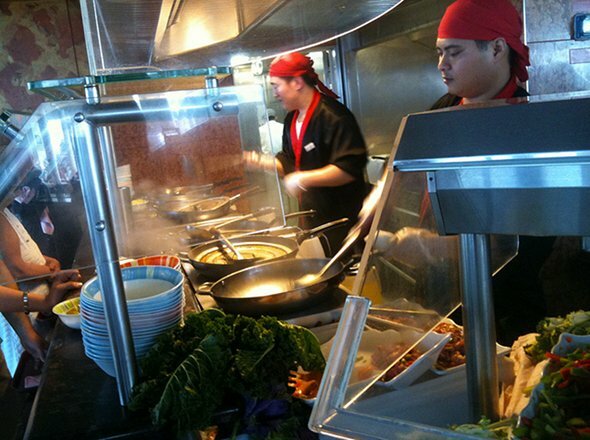 Then, grab a light bite to eat at the Mongolian Rotisserie Grille or swing on by Tiffany's Lido Restaurant for a drink or a meal. 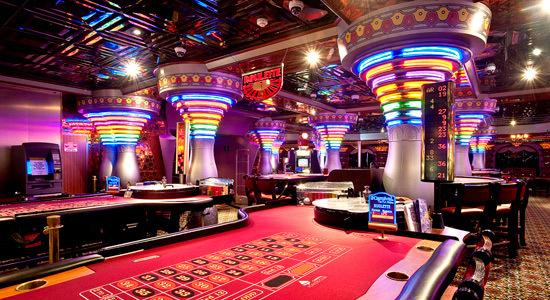 Try your luck with slots machines, blackjack, craps and roulette in the Casablanca Casino. 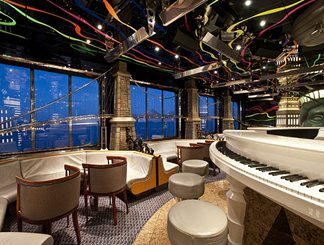 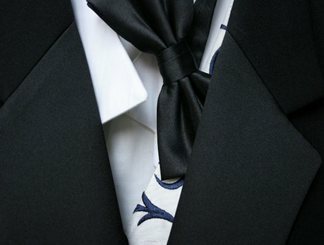 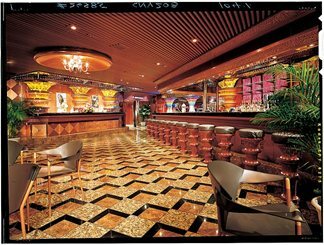 You can walk down Elation's Way and stop into the Drama Bar, Musical Cafe, Jekyll & Hyde Dance Club, or Gatsby's Great Bar. 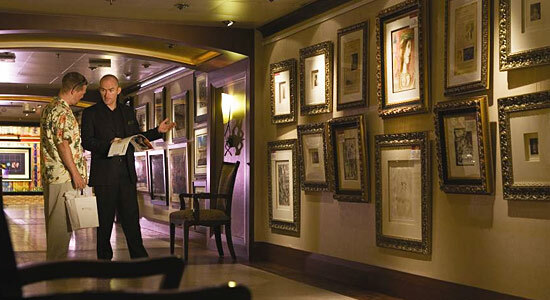 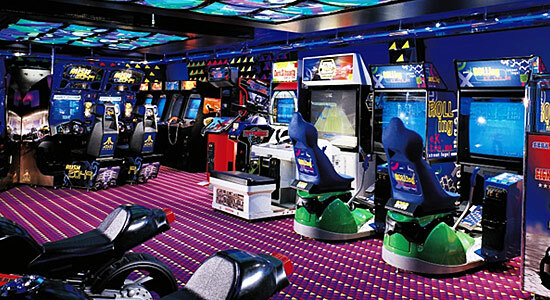 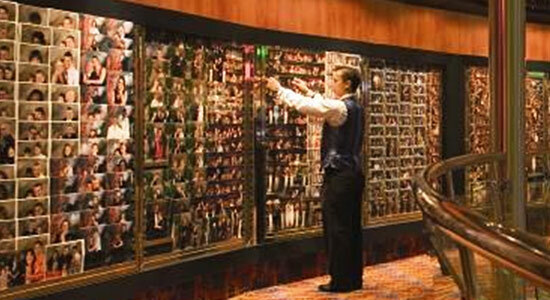 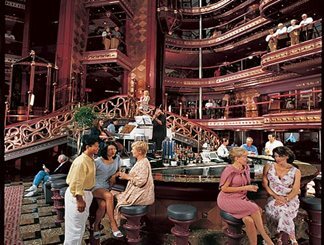 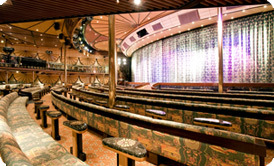 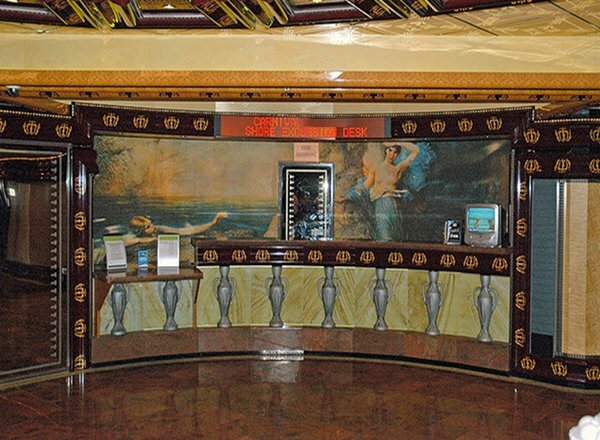 You will also find the Cole Porter Club, the Romeo and Juliet dance floor and bar, jewelry shop, and Virtual World. 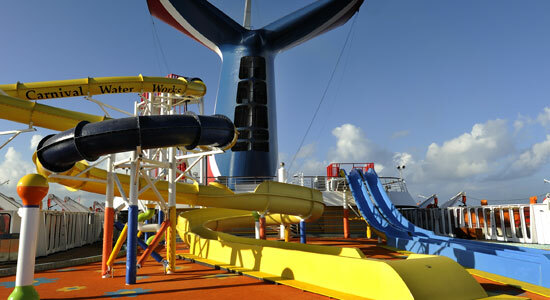 Adults can find an escape from the kids at the adult only Serenity located on the aft section of this exciting deck. 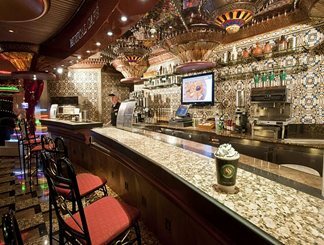 Guests can take in a show at the Mikado Lounge, a large, two-level theater featuring nightly entertainment, or enjoy a drink at Duke's Bar. 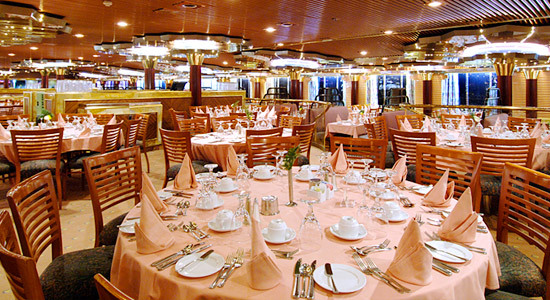 Savor the fine cuisine of the Imagination and Inspiration dining rooms. 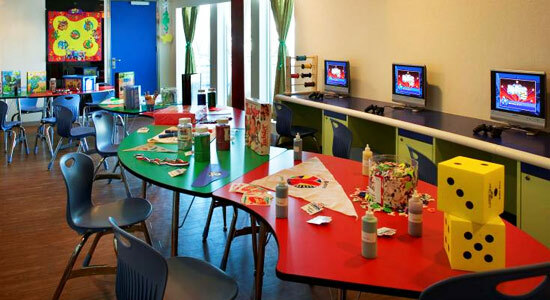 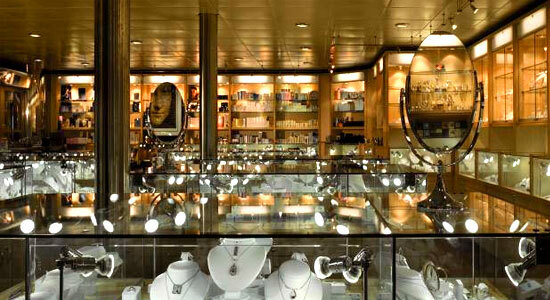 Browse the Elation's many duty-free shops including the Galleria Shopping Mall. 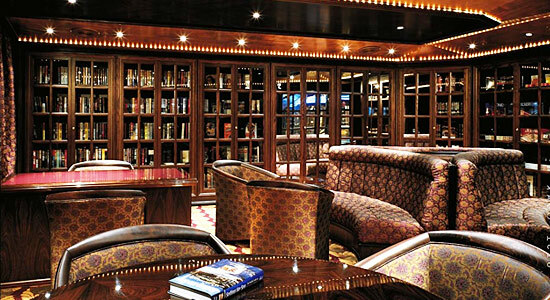 Let the kids go to Circle "C" and retreat with a book to the Mark Twain Library. 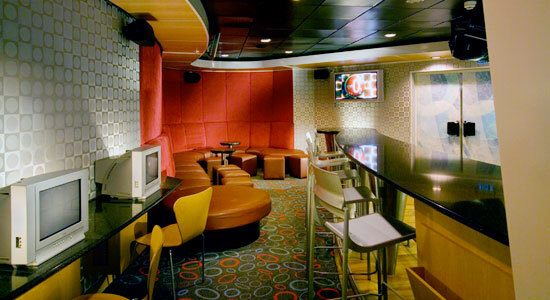 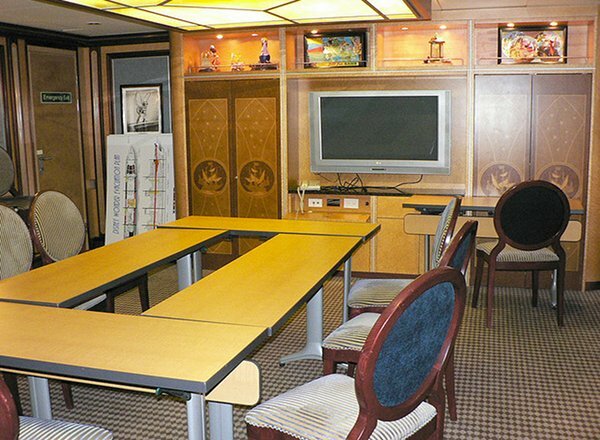 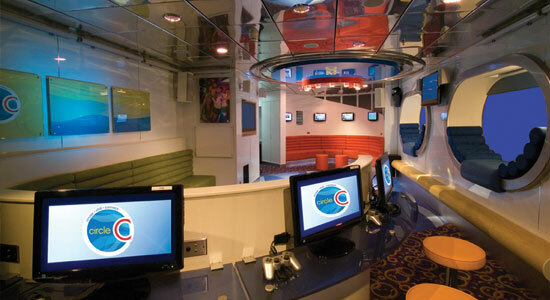 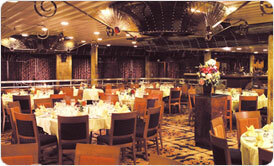 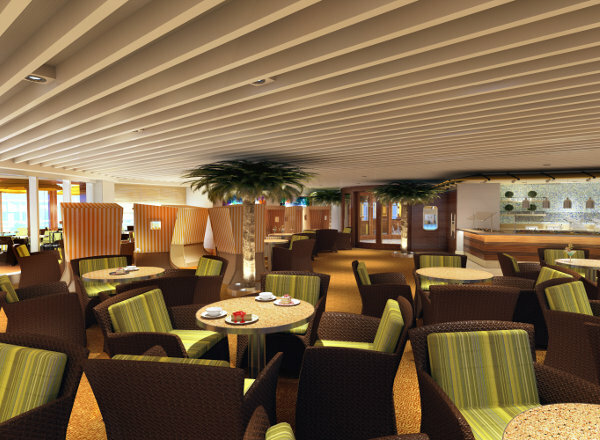 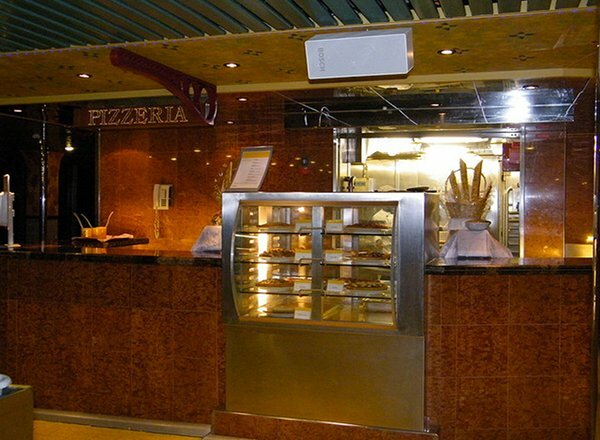 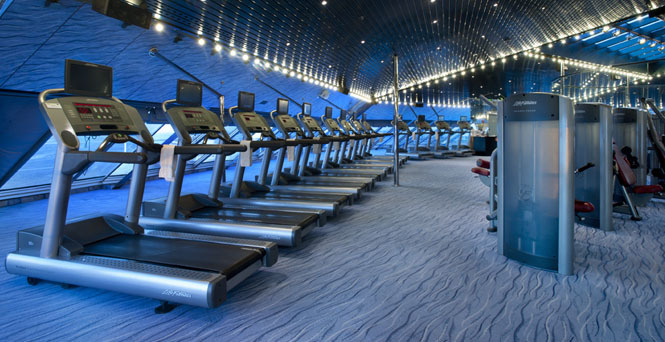 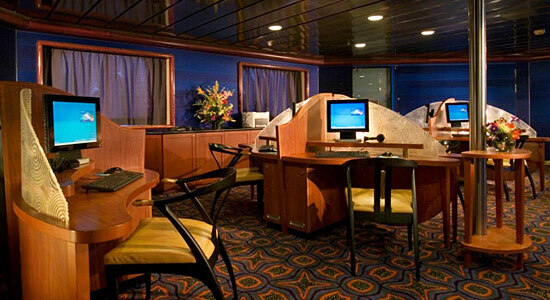 The Conference Room and Galley are also located on the Atlantic Deck. 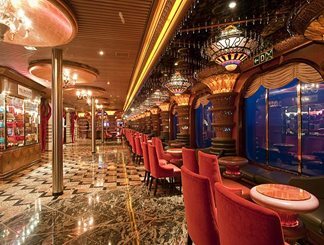 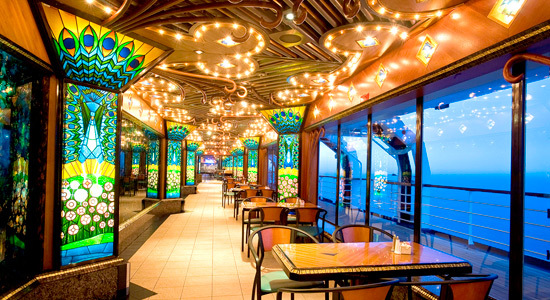 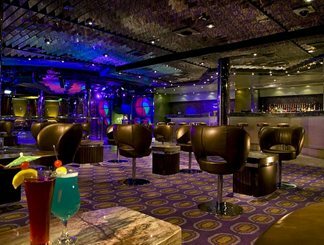 The Empress Deck features staterooms in categories 6E, 6D, PT, 4E, 4D, and 1A, as well as the astonishing six-floor Atrium Plaza, Plaza Bar, Photo Gallery, and Internet stations.